Sorry this is a little late guys! My new job is eating my soul! I'll have the giveaway up ASAP, I'm just waiting on an email from the author! 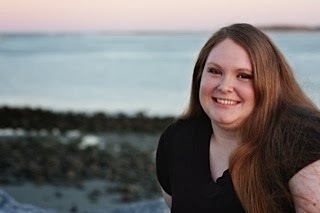 This list is always changing, but today that answer is A Little Too Far by Lisa Desrochers. Where did you get the idea for The Elysium Chronicles? A bunch of things, and a really long story involving SeaQuest and me being in the Navy, but basically I was watching a documentary on people's perception of perfection and it's effect on history. I was at the point in the documentary where they were talking about Hitler and his perception of perfection and what it changed. At the same time, my son was playing the video game BioShock. Somehow they meshed in my head and The Elysium Chronicles were born. Did you hit any snags while writing The Elysium Chronicles? What were they and how did you fix them? Which one of the characters in The Elysium Chronicles is your favorite and why? I'm not sure what this says for me, but I'd have to say Mother. She's so deliciously evil that she's so fun to write. Besides, I guess knowing more about her story than everyone else, I feel sorry for her. She's done horrible things. Unforgivable things. But the reasons for those decisions was and is truly heartbreaking. I just finished writing book 3 in the Elysium Chronicles and am awaiting edits from my editor. In the meantime, I'm working on two super secret projects. A science fiction adult manuscript and a contemporary book that has yet decided whether it wants to be new adult or young adult. When you first started writing The Elysium Chronicles, did you set out to write a thriller? How did you handle it? I didn't. I actually went in with almost no expectations. I had things I wanted to incorporate in a loose outline, but I let Evie tell me her story. It just happened to be a thriller. I don't even think I considered it a thriller myself until my editor said they were marketing it as one. LOL. Genre lines, I guess, aren't all that important to me. I just care about writing an awesome story and let the experts (i.e. my publisher) decide where it fits. Have any of your own life experiences influenced your writing The Elysium Chronicles? The navy and my medical and science background were huge influences on my writing. Even though I was writing fiction, I wanted as realistic of a story as I could get in the time and technology that are available. Plus, having all the connections I did, helped a lot with research, so of course, that was a huge influence on how I wrote the story. 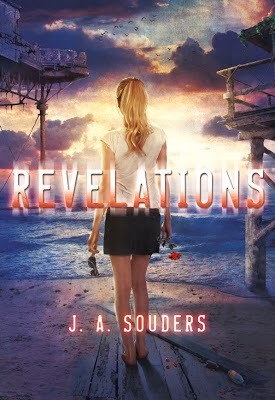 Revelations, the next book in The Elysium Chronicles, just came out and Evelyn is no longer in Elysium. Do you miss your under water world or does it make a special cameo in the new book? 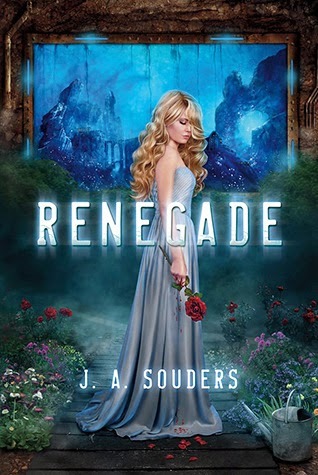 Renegade: Since the age of three, sixteen-year-old Evelyn Winters has been trained to be Daughter of the People in the underwater utopia known as Elysium. Selected from hundreds of children for her ideal genes, all her life she’s thought that everything was perfect; her world. Her people. The Law. Revelations: Six weeks after her arrival on the Surface, Evelyn Winters is no closer to unlocking the memories lost in her subconscious than she was when she first came. Isolated in a strange new society, Evie has only Gavin Hunter to remind her of who she once was.